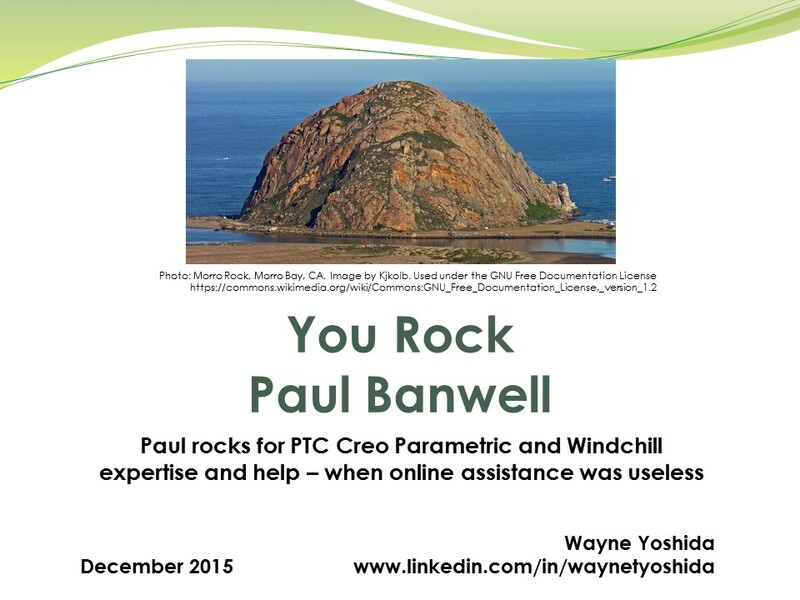 Each year, I think about the helpful people in my network, and thank them for their generosity. Here are the Top Five people who rock for 2015. Ladies first, so here we go. 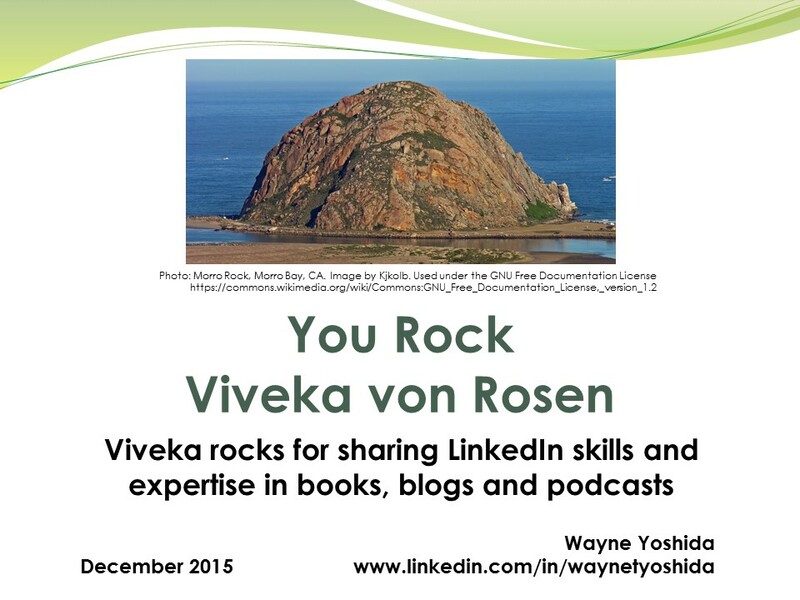 Viveka von Rosen is a LinkedIn expert and author. 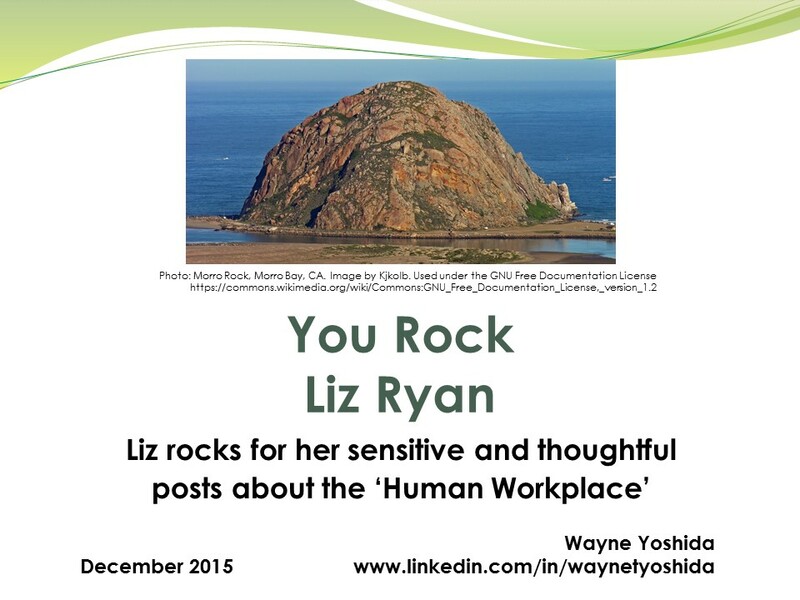 She does an excellent job of researching and teaching others about the LinkedIn platform. I learned about Viveka through an offer for a free lynda.com trial from LinkedIn. Visit her Linked Into Business blog and listen to her podcasts. Paul Banwell is a co-worker at Agility Fuel Systems, and was able to help me work through a strange, but normal glitch in the CAD program we use at work. It took me several hours of searching and experimenting, but Paul came through with the solution. Mike Gustafson is another co-worker at Agility Fuel Systems. 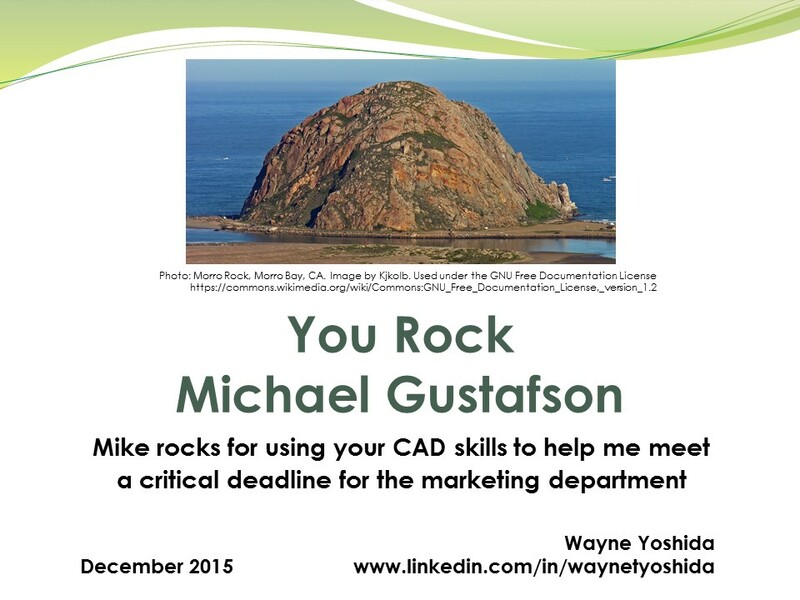 In a similar but different CAD scenario, Mike helped me meet a deadline for a marketing department project. 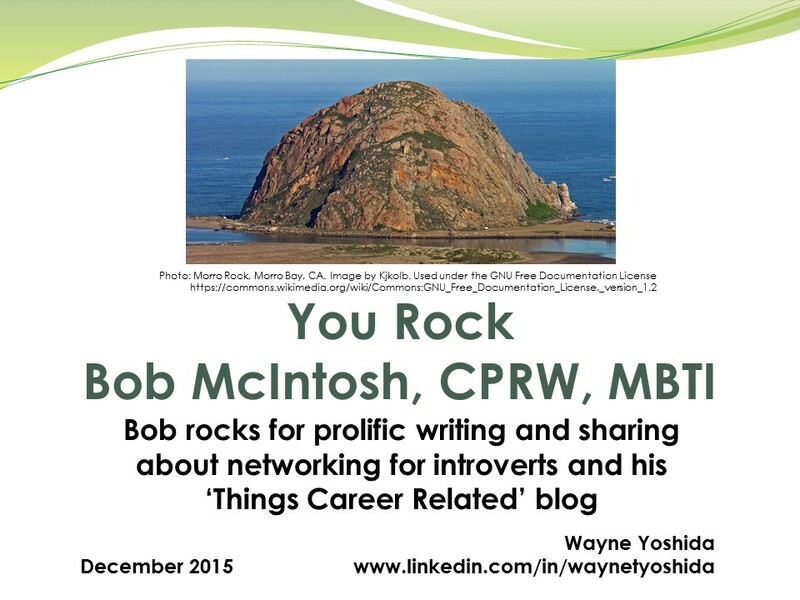 Bob McIntosh is a job search coach and LinkedIn trainer. As his award states, he is constantly writing and sharing news and thoughts about career management. His blog, Things Career Related, is filled with useful information. For a review of previous You Rock award winners, click here.